The Minister for Agriculture, Food and the Marine, Michael Creed T.D., has welcomed recent positive growth trends in Ireland’s Blue Economy and outlined the Government’s continued commitment to the ongoing implementation of Ireland’s Integrated Marine Plan - Harnessing Our Ocean Wealth. Addressing delegates at the annual ‘Our Ocean Wealth’ Summit today at Galway Docks, which included industry leaders, policy makers, researchers and maritime entrepreneurs, Minister Creed said “Ireland has taken important strides in recent years in developing our blue economy. This is being driven at the highest levels of Government and represents a unique and joined up approach to growing Ireland’s blue economy. The work of our cross Departmental high level Marine Coordination Group (MCG,) which I chair, will continue as we seek to build on recent success”. The updated economic statistics published today indicate that the direct economic value of Ireland’s ocean economy now stands at €2billion or approximately 1% of GDP, which represents a 21% increase on 2015 figures. 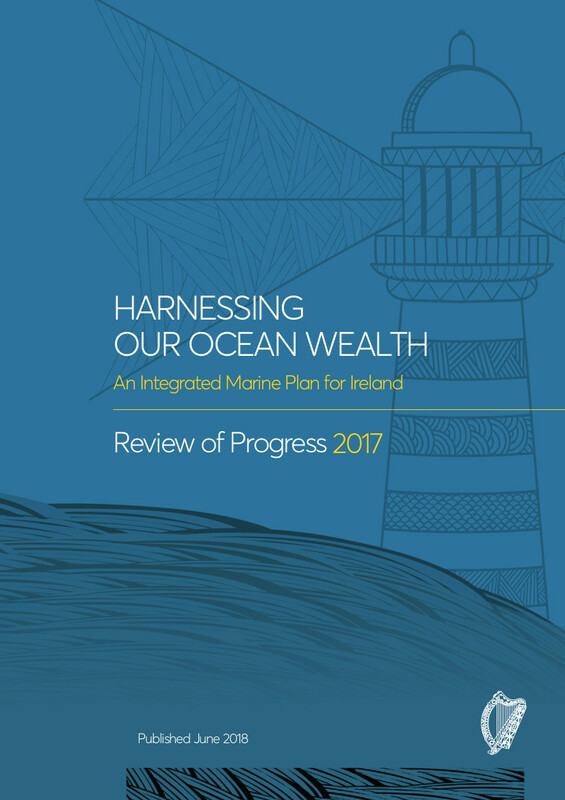 The Minister continued “I am also delighted to announce the publication today of the annual Progress Report on Ireland’s Integrated Marine Plan - Harnessing Our Ocean Wealth, for 2017”. This report which covers inputs from across state departments & agencies, provides a wealth of information, spanning governance, research, education, international cooperation, business development, sustainability & protection and conservation of marine ecosystems”. The 'Our Ocean Wealth Summit' format now in its fifth year forms a key part of the Government's integrated plan for Ireland's marine sector and brings together national and international expert speakers, industry leaders, business development agencies and the Irish business and marine research community. This year’s discussions focused on the overall theme of 'Investing in Marine Ireland’. The Our Ocean Wealth Summit and SeaFest are initiatives of the Inter-Departmental Marine Coordination Group, which is chaired by Minister Creed. The Summit is part of a range of industry and innovation events taking place in Galway as part of SeaFest 2018 from 29 June -1 July. A wide range of public events are also taking place in Galway Harbour and Docks and the city over the weekend (to 1 July). Seafest is co-funded by the Government of Ireland and the European Union under Ireland’s European Maritime & Fisheries Fund Operational Programme for the seafood sector.